The Venture Stroller Organiser is designed with room for all your needs, is the perfect solution for all your personal essentials right at hand, which makes life much easier when out and about. Finding it hard to keep track of things in your stoller? Organisation is a crucial following childbirth. 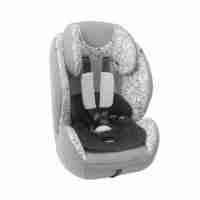 With so many baby essentials you need to remember on a day to day basis, you can find that things often get lost. 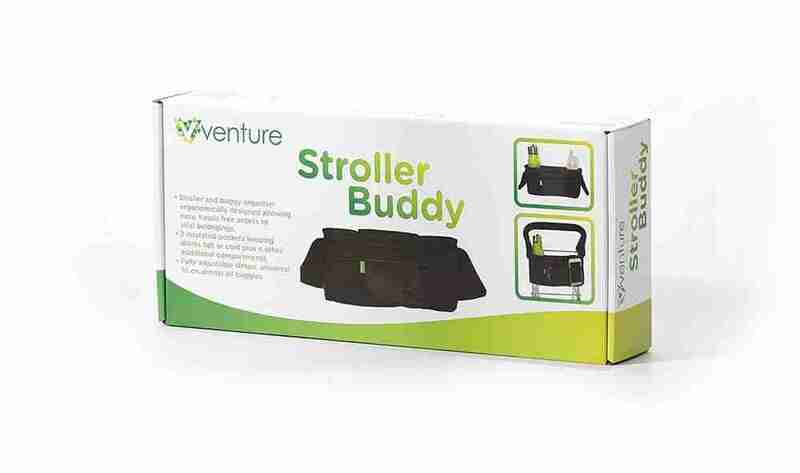 The Venture Stroller Organiser is designed to keep all of those essentials packed away safely right under your nose. 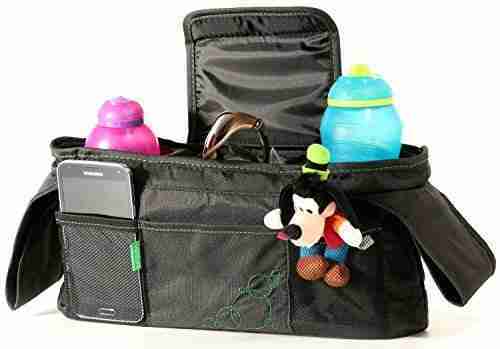 The stoller organiser can be easy attached to the handlebars of your pram and features multiple pockets, 2 side drink holders, a middle compartment for nappies, snacks, a purse or small toys. Universal sizing to fit any stroller! The Venture stroller organiser has a universal design measuring 33cm x 11cm x 14cm, meaning it fits most strollers with handles between 31 – 53cm’s wide using adjustable velcro sturdy straps. 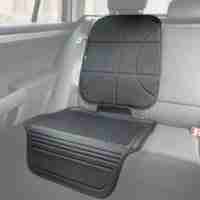 The organiser is also made from incredibly lightweight materials that are strong enough to protect your valuables but not heavy enough to cause your stoller to tip.